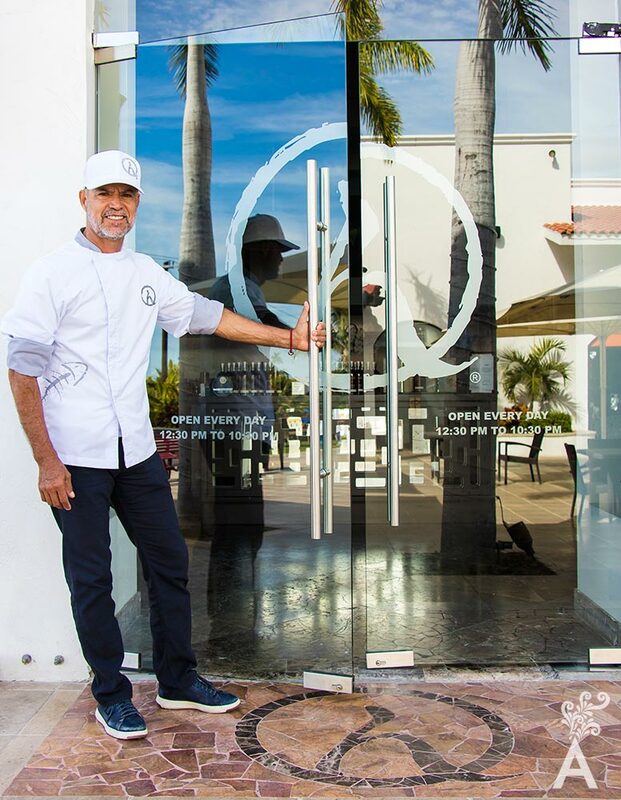 Angel Carbajal is the chef of Nick-San and has overseen the popular Japanese restaurant in Los Cabos since the beginning. 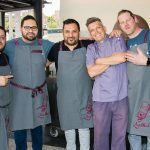 The restaurant is about to celebrate its 25th anniversary! In this interview, Angel takes on a journey of his memories from his beginnings. He helps us understand the value and, at the same time, the secret of remaining one of the favorite restaurants for locals and visitors. Everything began in 1982, when Angel decided to make a radical change in his life and moved to Los Cabos. It is when his personal history begins in this peninsula. “Many people were involved in this achievement. If we go on a journey through time, it would begin when I graduated with an electrical engineering degree. Searching for a change, I first arrived in La Paz where my father lived. Angel fell in love with the sea and developed a passion for fishing and diving. For him, the sea was paradise. It represented freedom and adventure. Everything is possible on the high seas and, at the same time, nothing is certain. However, it reaffirmed that there is no bad day to go fishing. The views and the sunrise are, in themselves, gifts of life. “When I was a waiter, a client invited me to take a snorkeling class. From that point on we became great friends. In fact, I ended up working as a snorkel guide. Later, I decided to get certified in diving. When you dive, you realize the enormous diversity of fish. At the same time Angel discovered his passion for fishing, he started working as a waiter and then a manager of the restaurant Mr. Sushi. He even served as an improvised chef when needed! It was then that he first met Nick who would become his partner and a great friend. 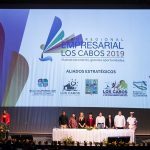 Nick returned after two years, this time with plans in hand and a project that would transform the business career of Angel, as well as dining in Los Cabos. With seven tables, a bar with 24 chairs and a kitchen with a toaster, microwave, grill and stove, Nick-San opened in the center of Cabo San Lucas in 1994. The name in Spanish translates as “Señores Ángel y Nick.” The location became a favorite. In time, customers demanded a bigger location and an expansion to Mexico City, Nuevo Vallarta, San Miguel de Allende and an alliance with the restaurant Mastro’s. The American company has a selection of Nick-San’s menu items in 18 restaurants. One interesting anecdote was during the filming of Troy in Los Cabos. A mysterious diner repeatedly visited the restaurant throughout the week. It turned out to be Orlando Bloom, whom Angel would later take fishing in his panga. After 25 years, Angel still accepts the challenge of constantly being creative in order to exceed the expectations of his guests. He works hard to be innovative instead of copying what is already in the market. Nick-San is a restaurant where the main challenge is to present the diner with original recipes. Angel defines it as a cuisine with flavors of Mexico and Asian accents. 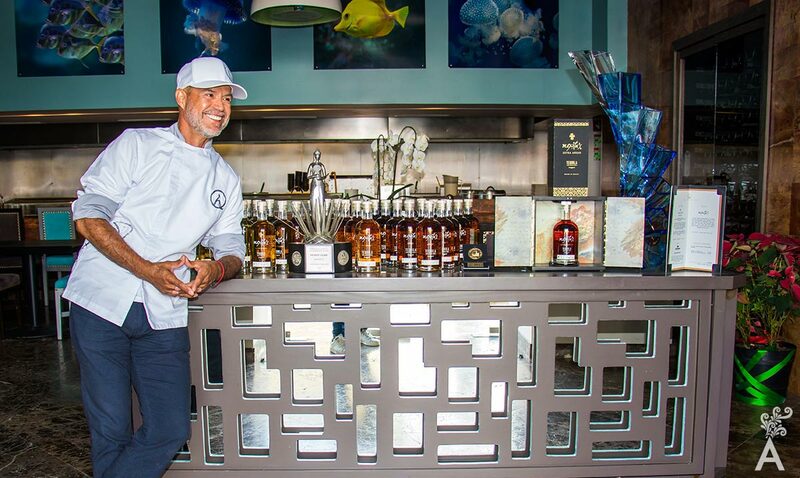 25 years ago, Angel believed it was Los Cabos that chose him to enter the gastronomic world. 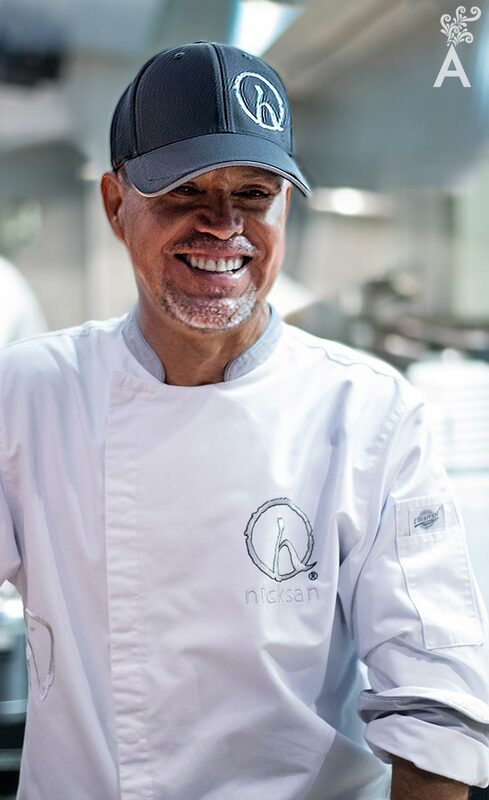 From the moment the first Nick-San opened in downtown Cabo San Lucas, he has maintained the restaurant’s reputation for excellence by using the freshest local ingredients and imported products from Japan.